National public sector strike affects Council services | The Bloxwich Telegraph – incorporating The Bloxidge Tallygraph and Walsall North News. Founded 2006. Walsall residents are being advised that some council services, including school closures could be affected by industrial action today, Wednesday, 30 November 2011. As trade unions across the country stage a day of industrial action, some council services will be closed or run at a much reduced level. 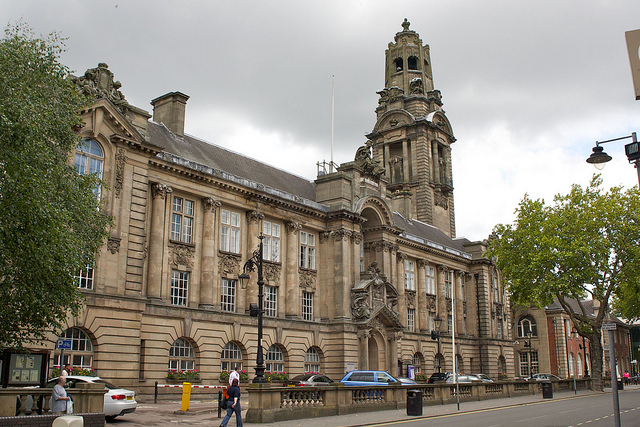 Walsall Council’s First Stop Shop in the Civic Centre, Darwall Street will be closed during the national dispute and callers to the council’s general enquiries (01922 650000) may experience some delay. Residents seeking information about Revenues can call 0845 111 2851 and the Benefits service on 0845 111 2855. Residents may see disruptions to their bin collection service. Revised arrangements for bin collections on that day will be communicated via the council website as soon as they are known. People who do not want to wait until the next collection can use Walsall Council’s Household Waste Recycling Centre in Fryers Road, Leamore. The recycling centre at Merchants Way, Aldridge does not operate on Wednesdays. Parents are advised to contact their school directly or visit http://www.walsallcs.com/news/school-closures-2.html to check for school closures. The council has already confirmed Walsall and Willenhall Markets will be shut during the day of strike action. Walsall Gala Baths will be closed but all other leisure centres will remain open as usual. Updates will be made to Walsall Council’s website at www.walsall.gov.uk to highlight disruption caused by industrial action. Councillor Chris Towe, cabinet member for finance and personnel at Walsall Council, said: “Our customers and service users are our key priority during this time. However, despite having robust contingency plans in place, it is likely that the service delivered to residents of the borough may experience some disruption. “Should you experience a problem with your bin collection on Wednesday please visit the council’s website or call us on 01922 650000 to check revised arrangements. “Walsall Council apologises for any inconvenience this may cause our residents, however it is difficult to provide a comprehensive and fully accurate prediction of the impact this may have on our services,” he added. Walsall Local History Centre will be closed on 30 November. You are advised to check whether other museums and libraries will be open.